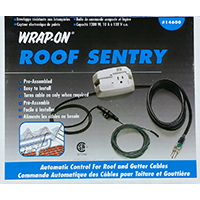 The easy-to-install automatic control connects to a roof and gutter cable. It automatically turns on the heating cable to prevent build-up of snow and ice. 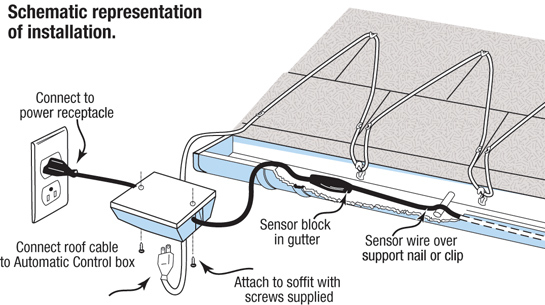 The electronic sensor in the gutter and on the roof detects both temperature and moisture. 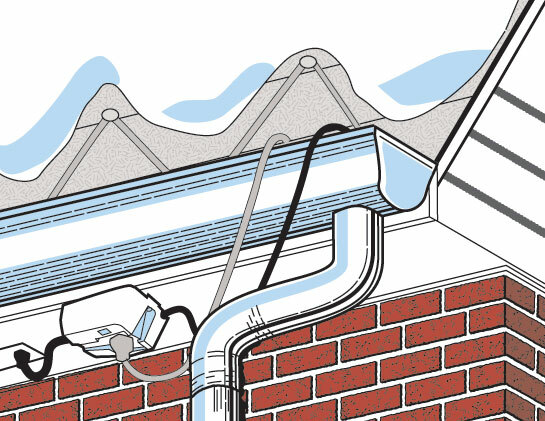 Together, these conditions can cause ice build-up on shingles, in gutters and downspouts, resulting in costly roof repair. Once plugged in, the device automatically switches the heating cable on or off as required. Operating costs are minimal and it helps save energy dollars. It is housed in a weather-resistant enclosure with a state-of-the-art electronic sensor.